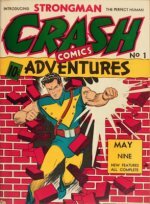 Found some vintage comics, need some advice on prices? I recently found "the amazing spiderman - spidey smashes out". It is in good condition and all pages are still together, it only has a few small tears on the cover near the staples and the corners are a but worn on the comic. 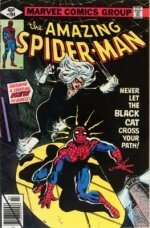 I have seen that it is from 1967 and its Amazing Spider-Man #45. My second comic i have found is being sold at a local comic book store, its being sold for R450 (South African currency). 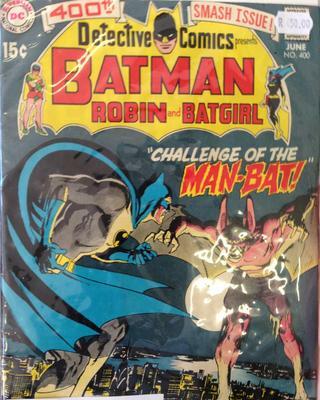 It's a Detective Comics #400 of batman, robin and batgirl, apparently the first appearance of Manbat. It is in really good condition but I'm not allowed to open it. I have attached pictures of both comics i have queried about and could you please help me. Editor's reply: well, for sure you should not buy a vintage comic book without opening it. However, in the case of Detective Comics #400, the equivalent of $49 seems like a bargain to me. It looks like it might be around 8.0 out of 10, though without looking inside for clipped coupons or missing/badly torn pages, it is a bit of a gamble. Still, if you check out the prices on eBay, you'll see how it sells for around $130-180 in 8.0 shape. 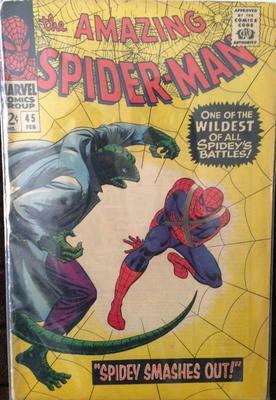 You don't say the asking price for the Spider-Man #45. This is a minor key, being the third appearance of The Lizard (monster from recent Spider-Man reboot movie). I can't see the upper corners of your book. But the comic looks in nice enough shape, maybe an 8.5 or even a 9.0. Again, you need to check out the interior. From eBay results, it looks as if it might be worth in the $90 to $130 range. Good luck if you pick them up, seems like a decent find.